This book is about how Anne grew up. She was just a young girl growing up with her parents and her sister, Margot. But then the Holocaust started happening. So they hid in The Secret Annex. Margot was one of the people that got a letter saying that she had to leave. They refused. They were successful for two years until someone ratted them out. They went to Auschwitz. Only her father, Otto survived. He made her famous by publishing her diary.I liked this book because it was nice and short and fun to read. 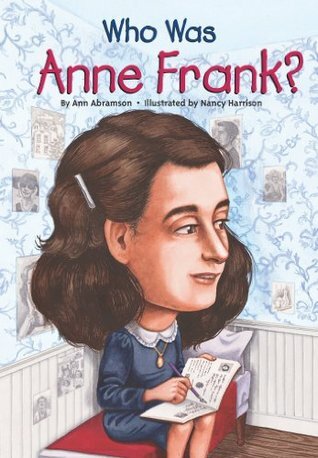 Who was Anne frank was about a girl living in Frankfurt Germany.With a happy life Anne had a problem the nazis invaded.Anne had to hide for protection.She wrote a diary that told her life and when she died her dad found it and got it published. 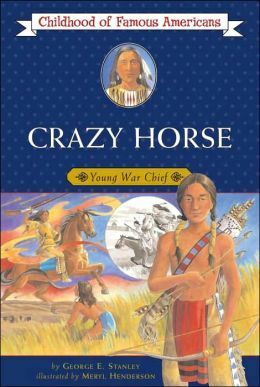 This book is about Crazy Horse. He used to be a Sioux war chief. He helped stop the white men fighting the Sioux. Such a good book it keeps you on the edge of your seat. 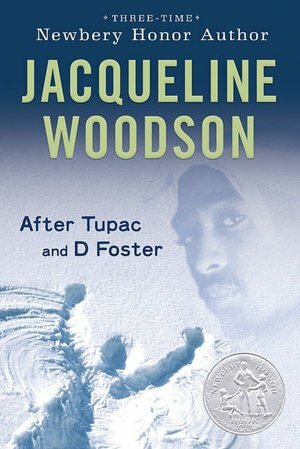 If you like tupac there is good facts about him in there. Its a book for both boys and girls. D Foster is a girl that is a foster child and she sneeks away from her foster moms house with her friends to go some where? RIP in peace TUPAC u changed the rap game forever! A revolutionary rodent, a smart supercomputer, a master magician, and an accomplished artist who was also an ingenious inventor. Meet them all in our latest podcast, all about biographies and fiction about real-life famous figures. Hey, Lady Gaga may be the expert at acting like the paparazzi, but that doesn’t mean you can’t rub elbows with some of the biggest celebs in history! I would like to “meet” Deep Blue, the supercomputer programmed to play chess. Why? We would never know if I didn’t type this: I like chess (and computers). I would also like to meet the programmers. Why? We would never know if I didn’t type this: They might be interesting to talk to. This book trailer for Ben and Me was originally the Mystery Book Theater video for our Biographies & Real-Life Figures theme. For more on Ben and Me, check out our “Fame! I’m Gonna Live Forever…” podcast. You’ve heard of the classic novel Of Mice and Men? Well, that’s not our focus here. But Robert Lawson’s Ben and Me IS about a mouse and a man. One is famous. And the other? Well, he thinks he should be. If you’re a loyal fan of Kidsmomo (and all the cool kids are, of course), then you know that a little while back, a class in Indiana submitted a bunch of awesome book reviews — many of them for biographies. Nancy was inspired to revisit some of her favorite books about Helen Keller and Anne Sullivan, and we’ve decided to dedicate our new theme entirely to books about famous real-life figures! If you’ve read any of these, send in your book review and we may read it our podcast. Or send in a review of your favorite book about a real-life famous figure! Do you want to find out more about Thomas Jefferson? Do you want to know how he died? Well then read this book! The book has thirteen facts. A couple of these facts are that Thomas Jefferson was married when he was twenty-three. His daughter and his wife’s names were both Martha. His wife, Martha, died at the young age of 56. My favorite fact of theis entire book is that he got married October 30, 1768. This fact makes me happy. If you want to find more facts then read this book! !